For a Review of the-late-Dr. DAVID R. HAWKINS-clinically-proven-Map-of-Consciousness. *Note: For this-chart-scale there-are-10,000-levels-of-awareness-on-planet-Earth, here-reduced-to-a-scale-of: 1-1,000. 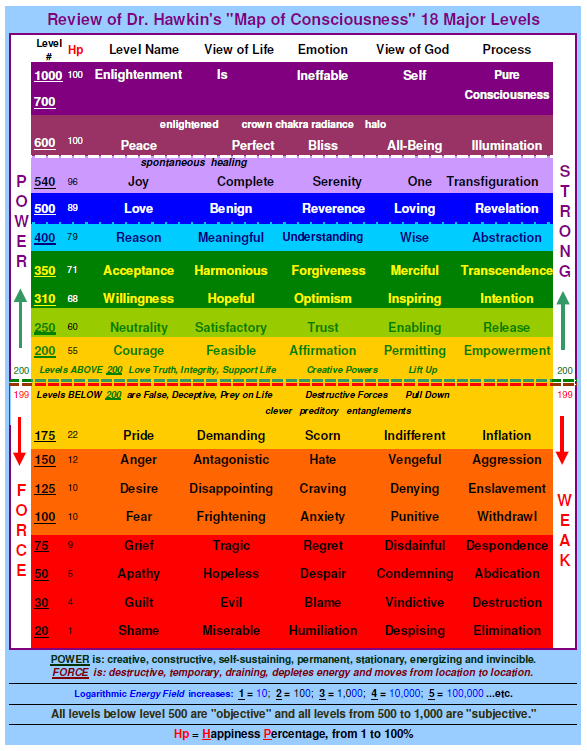 All Levels ^ above ^ level 200 are + Positive + emotions. The 'Happiness percentage' stays above 55%.